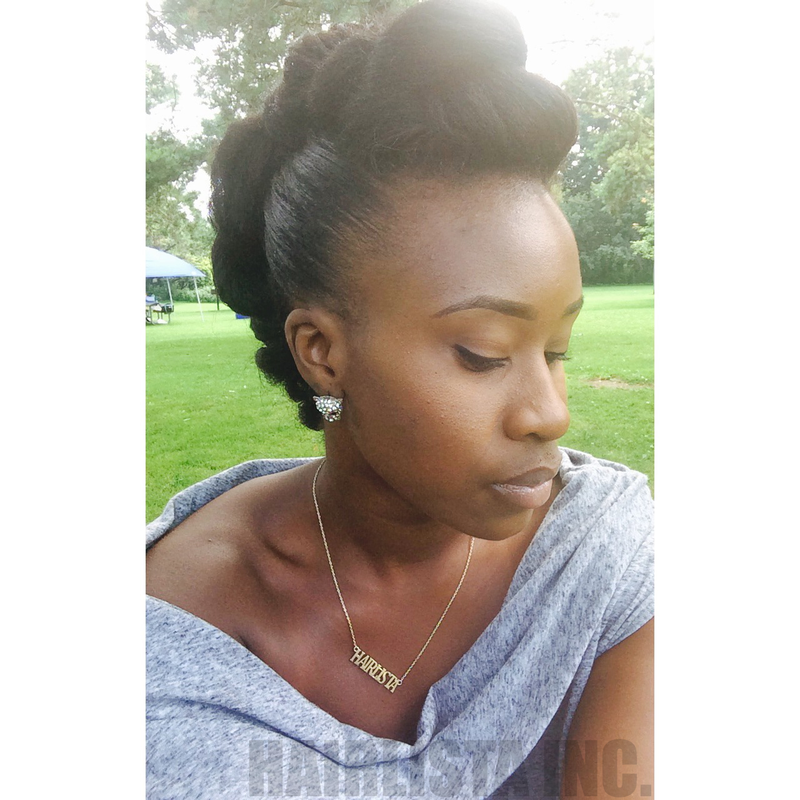 Mohawk On My Relaxed Air Dried Hair - Hairlicious Inc. This is, by far, one of my favourite up-do hairstyles! Tip: An old braid-out is perfect for this style. The added texture really adds more appeal & character to the overall style! I love this style! How do you get your edges so smooth? Gorgeous Hairstyle, your hair looks amazing. I will be trying this style tomorrow night!! Awww thanks hun!! It's a great style evening style too!! Love it and your necklace is everything! Coconut Oil Challenge - 1 Day Left! Hair Comparison: APL to BSL in 9 months! Steaming My Hair With Coconut Oil!